Hey, Gang! Let's Build a Fountain! University of California magazine. Under the Berkeley Oaks. Stories by students of the University of California; selected and edited by the editorial staff of the University of California magazine. San Francisco: A.M. Robertson, 1901, ©1900. 12mo (19 cm, 7.25"). Frontis.,  ff., 227,  pp. Wise, WARM Advice to a Young Philadelphia Woman V[aux], R[oberts]. Autograph Sentiment Signed (with initials) for Isabella Walsh. [Philadelphia]: 18 January 1828. Small 4to. 1 p.
“The affectionate interest which I have always entertained for the welfare & happiness, of the eldest daughter, & proper representative, of one of the most estimable, and accomplished ladies who ever adorned the society of Philadelphia, induces me to comply with a request of the possessor of this volume, to inscribe some lines upon one of its pages. It were impossible to contribute wiser counsel, or more excellent lessons, than those already recorded in this Album, by her honoured Father, & several of his, & her Mothers [sic] friends. Vaux was a noted lawyer, philanthropist, abolitionist, and civic leader. Miss Walsh (b. 8 July 1812) was the daughter of Robert Walsh (lawyer and abolitionist) and Anna Maria Moylan Walsh (who died in 1826). Provenance: The Walsh album sold at Anderson Galleries 28 November 1921 (sale 1609) as lot 60. Later in the Allyn K. Ford Collection, Minnesota Historical Society, recently deaccessioned. 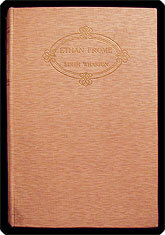 “A Complete Compendium of Declamation” [Victor, Orville J. ], ed. Beadle's dime American speaker comprising gems of elocution and humor, for schools, exhibitions, parlors, etc. New York: Beadle & Adams, [1872?]. 12mo (16.3 cm, 6.4"). , [vii], 98, [2 (adv.)] pp.  Number 1 in the “Speaker Series,” including rousing patriotic speeches, poems by Edgar Allan Poe and others, and an anti–women's suffrage argument. This is a revised and enlarged reprint of the original 1859 appearance, here in orange wrappers bearing a wood-engraved vignette of an orator, the 98 William Street address, and the Beadle's “dime” illustration. Kennebunkport Church Cookery Village Baptist Church (Kennebunkport, ME). Ladies' Guild. Cook book. Kennebunkport, ME: Published by Village Baptist Church Kennebunkport Maine [at the Press of Arundel], . 8vo (23 cm, 9"). 56, [24 (adv.)] pp. (some pagination out of sequence).  Uncommon fund-raising cookbook, printed in “an edition of 1000 from the press of Arundel for the Village Baptist Church”; date of publication is supplied by the New York Public Library. This copy includes a number of laid-in manuscript and printed recipes, including a handwritten recipe for cranberry coffee cake, an advertising item from Swanson with recipes for “Oriental Chicken” and other dishes, a recipe pamphlet from Purity Supreme, instructions for the “Energy Miser Original Potato Baker,” a Dover Farms whipped topping lid with recipe for apple crisp, an envelope with handwritten notes on rhubarb bread (with the original letter still inside, acknowledging the recipient for donating equipment to a project known as “Camp Waban for Retarded Citizens”), etc. WorldCat locates only one library reporting ownership (NYPL). Copiously & Usefully ILLUSTRATED Vindel, Francisco. Solaces bibliográficos. Madrid: Instituto Nacional del Libro Español, 1942. 12mo. xi, 193  pp., illus.  Short bibliographical essays on such topics as Spanish-language printing in Italy in the 16th century, Spanish books on chess and on women in the 15th through the 17th centuries, and the Ibarra press. This copy with an authorial inscription to a recipient whose name has been gently, but entirely, obliterated! A PITTSBURGH Woman's Poetry Wade, A. Annie Rogers. The poetical works of A. Annie Wade. Allegheny, PA: [Privately printed], 1895. 8vo. Frontis., 227 pp. We locate only five libraries (three in Pittsbugh) reporting ownership of the work. Provenance: Inscribed to Mrs. John R. McCune by the writer of the volume's biographical sketch of the author, “Frank H. Wade, M.D.,” and his wife. Scarce Woman Author's Novel about Two Men with a Secret Scandalous Connection Walsh, Lavinia. When the dead walk: A novel. New York: Mutual Pub. Co., 1902. 12mo (19.8 cm, 7.75"). Frontis., iv, 386, [2 (blank)] pp.  “Perhaps no city in the universe, barring the 'Monster London,' may boast of more epicurean grandeur in the form of fashionable clubs, than may Paris, with its dazzling array of nobles and celebrities”: A novel by Lavinia Walsh, illustrated with a tissue-guarded, black and white frontispiece of one of the two protagonists — two men with a secret, scandalous connection, fighting with deadly results over a name and identity. WorldCat locates only five U.S. institutional copies of this, Walsh's sole novel. The wandering shepherdess; or the betrayed damsel. Glasgow: Pr. for the booksellers, . 12mo. 8 pp.  A young nobleman seduces and murders an Oxford merchant's beautiful daughter, then takes to his bed and dies of guilt and despair. The title-page bears a woodcut vignette of a young woman in a bonnet and cloak leaning against a gate, with "[No.] 9." printed at the foot. Life Went Seriously Wrong beginning in Her Mid-Teens Watkins, Lucy. Helen Beresford, or the child of misfortune. London: Printed & sold by Dean & Munday, [1811–37?]. 12mo (18 cm, 7"). Frontis., engr. title-leaf, pp. –54. The hand-colored engraved frontispiece shows Helen stabbing a man in a street and the hand-colored title-page vignette depicts her in a mean alleyway begging heaven for food. Provenance: From the collection of Albert A. Howard, small booklabel (“AHA”) at rear. NUC and WorldCat locate only four U.S. libraries reporting ownership (IEN, NhD, NjP, CtY). The Unlucky Man, the Christmas Sing, & the Friend of Cats Wilkins, Mary. The people of our neighborhood. Philadelphia: Curtis Pub. Co.; New York: Doubleday & McClure Co., (1898). 32mo (15.2 cm; 6"). viii, 161,  pp. Alice Barber Stephens, an American painter and engraver whose work appeared in Harper's and the Ladies' Home Journal, provides the illustrations, being 13 plates throughout the text and a frontispiece (with tissue guard) of Wilkins. Vol. III of the Ladies' Home Journal Library of Fiction. Provenance: On front free endpaper, the signature of Katherine Phinprose(?). “Kneel Side by Side” Wise, Daniel. Bridal greetings: A marriage gift, in which the mutual duties of husband and wife are familiarly illustrated and enforced. New York: Carlton & Phillips, 1852. 16mo. Frontis., 160 pp.  Second edition, following the first of 1850, of these dicta regarding proper Christian management of the connubial state. “If the reader expects to find highly wrought sentimentality or romantic fancies in the succeeding pages, he had better lay them down, and seek for gratification elsewhere,” (p. 3) — but there is some sweetness here in the exhortations to mutual dedication. This has a very pretty engraved title-page, acting as frontispiece; between the arched words “Bridal Greetings,” above and below, is a bridal bouquet of emblematic flowers, signed F.E. Jones. Binding: Publisher's textured red cloth, covers framed in blind, front cover with gilt-stamped rose vignette, spine gilt extra. All edges gilt. “Freedom, Fellowship & Character in Religion” Woolley, Celia Parker. The ideal Unitarian church. Chicago: Charles H. Kerr & Co., 1889. 8vo (23.2 cm, 9.125"). 12 pp.  A lecture “read before the Western Unitarian conference at Chicago, May 16, 1889.” American novelist, feminist, and antiracism activist Woolley (1848–1918), a Unitarian minister who was born in Ohio and raised in Michigan before settling in Chicago, dedicated her life to integration and egalitarianism, opening membership in the Chicago Women's Club to African Americans and founding the Frederick Douglass Center on the South Side among other efforts on behalf of human rights. This is vol. I, no. 12 of the Unity Mission subscription newsletter. FEMALE, GIRL, FEMINI . . .